Built heritage in use must accommodate change from time to time if it is to remain in use, and the term conservation has come to define the process of managing change sympathetically. Urban areas are no different. Successful management of development and regeneration requires thorough analysis and understanding of the heritage values at stake, particularly in a world heritage site (WHS) such as Edinburgh, Bath or Liverpool. Here development must be both inclusive and sustainable, so we need to understand the area’s ‘outstanding universal value’ for which it was designated. The official international collaboration to protect ‘Areas of Outstanding Universal Value that belong to all the peoples of the world’ began with UNESCO’s 1972 declaration of the Convention Concerning the Protection of the World Cultural and Natural Heritage. The convention came into force in 1976 and it has now been ratified by almost 200 countries or ‘state parties’. Its purpose is to ‘ensure the identification, protection, conservation, presentation and transmission to future generations of cultural and natural heritage of outstanding universal value’. According to the convention, the state parties should create a tentative list of properties to be designated on the World Heritage List. A nomination document and a management plan should be prepared for each proposed property to be submitted to the World Heritage Committee, which manages the process of heritage designation. The committee is advised by the three international bodies (ICOMOS, IUCN and ICCROM) which counsel on nominations, the state of conservation of properties and on strategic issues and international assistance applications. This special procedure, known as inscription, includes an evaluation of the potential sites by experts against a set of established criteria. The criteria are included in the Operational Guidelines for the Implementation of the World Heritage Convention, which is periodically revised to reflect the committee’s decisions. A site might be nominated as cultural, natural or mixed heritage if it meets one or more of the ten criteria of ‘outstanding universal value’ (OUV). Once designated, the state party accepts responsibility for the effective management of the site and for safeguarding its OUV, along with the conditions of integrity and authenticity (UNESCO 2016: 26). Articles 1 and 2 of the convention define cultural heritage as monuments, group of buildings and/or sites, while natural features and/or natural sites are defined as natural heritage. Mixed cultural and natural heritage sites are properties that satisfy a part or the whole of the definitions of both cultural and natural heritage. The term ‘cultural landscapes’ is referred to in Article 1 of the convention. It includes cultural properties and represents the ‘combined works of nature and of man’, although this type of asset will be listed under the cultural heritage category. The concept of a ‘heritage urban landscape’ was introduced by the 2011 UNESCO Recommendation on the Historic Urban Landscape, which has been a key guide to the process of safeguarding world heritage sites along with the 1972 convention and other related documents. The document describes the complexity of the urban environment as a dynamic system of cultural and natural values and aspects. It recognises historic cities as multiple active layers of tangible and intangible heritage ‘deposited over time’ by their accommodated communities in various settings (see Further Information, Bandarin and van Oers). If the state party fails to safeguard the site’s outstanding universal value, it will be delisted, a process which has happened twice. The first time was in 2007 when the Arabian Oryx Sanctuary in Oman, inscribed in 1994, was deleted from the World Heritage List. The decision was a consequence of the Omani government’s reduction of the size of the protected area by 90 per cent, in contravention of the operational guidelines set out in the 1972 convention. The second site was the Dresden Elbe Valley in Germany, designated in 2004 and delisted in 2009 in response to the building of a four-lane bridge through the heart of the cultural landscape, which was deemed detrimental to its outstanding universal value. Before a site is delisted, the World Heritage Committee places it on the List of World Heritage in Danger (LWHD) and seeks to collaborate with the local authorities to take corrective action. The aim is to restore the site’s values and enable its swift removal from the LWHD. If remediation fails, the committee then revokes the designation. There are currently 54 sites on the LWHD. The identified feasible threats according to Article 11(4) of the 1972 convention include large-scale or rapid development, abandonment, conflict and natural disasters. The list is perceived differently by different state parties. According to UNESCO, LWHD inscription ‘should not be considered as a sanction, but as a system established to respond to specific conservation needs in an efficient manner’. Some countries therefore apply for inscription and attempt to obtain international expert assistance to solve the problem. Others, however, regard the action as a form of reproach and do their best to avoid it. In addition to these sanctions, each country has its local historic/heritage polices. In the UK each of the home nations has specific planning policies for the protection of world heritage sites, and buildings and structures within a WHS will often be protected as listed buildings and scheduled monuments or through conservation area designation, limiting the alterations that can be made without special consents (see page 37). International activity in heritage management has resulted in a continuous stream of heritage standard-setting documents. These are disseminated by key international organisations, namely UNESCO, ICOMOS, ICCROM and the Council of Europe. (The UK, it should be noted, is likely to remain a member of the Council of Europe post Brexit.) The key aim has been to hand on the world’s patrimony ‘in the full richness of its authenticity’ and to ensure the international application of heritage conservation principles. By signing the convention in 1984, the UK government undertook to ‘identify, protect, conserve, present and transmit’ world heritage sites to future generations. To date, 31 sites in the UK have been designated on the World Heritage List; 26 cultural (including one on the List of World Heritage in Danger), four natural and one mixed. Also, 11 properties are on the tentative list, with decisions pending. The designated sites in the UK vary in size and type and include archaeological sites, major country houses and their parks, industrial sites (Liverpool) and heritage cities (Bath and Edinburgh). In the UK, the Department for Culture, Media and Sport (DCMS) is the lead government department on world heritage issues and is responsible for ensuring that the UK fulfils its obligations under the 1972 convention. Historic England is the government’s statutory adviser on the historic environment in England, but it also assists the Northern Ireland Environment Agency, the Scottish Government, Historic Environment Scotland, Cadw and Overseas Territories’ heritage agencies in advising DCMS on managing world heritage sites in Northern Ireland, Scotland, Wales and overseas respectively. At regional level, regional government offices are responsible for safeguarding world heritage sites through regional spatial strategies and funding. At local level, local authorities are responsible for spatial planning and for the communication, management and promotion of the sites. In addition, a range of other government organisations and NGOs have a particular involvement in world heritage affairs, such as ICOMOS UK. In line with the 1972 convention, each local authority should prepare a management plan for the world heritage sites on its territories. This is based on maintaining the outstanding universal value, authenticity and integrity of the site so the impacts of any change in the WHS should be based on respecting these values. In England, the management plans are usually prepared with a future vision for a number of years and they are produced with respect to the National Planning Policy Framework (2012) with the main aim of achieving sustainable development. The UNESCO World Heritage Committee may become involved with individual sites in various ways. All correspondence with the World Heritage Centre, advisory bodies and the committee is conducted by DCMS. Changes to the definition of outstanding universal value, the boundaries of the site or its buffer zone should be reported to the committee, which in turn reviews all world heritage sites on a cyclical basis. Furthermore, proposals for major restorations, regeneration or interventions which may affect the outstanding universal value of a site should be reported to the committee in order to advise on appropriate resolutions to ensure that its OUV is fully preserved. This process often raises problems in terms of defining whether developments will have an adverse impact on OUV and to what degree. There are also potential conflicts in timing since the committee meets only once a year while UK planning decisions are normally taken more frequently. Indeed, ‘large-scale public or private projects or rapid urban or tourist development projects’ are among the threats identified in Article 11(4) of the 1972 convention. The crux of the argument is how to introduce regeneration projects in harmony with the heritage context in such a way that all heritage values are safeguarded and current requirements are met with respect to sustainable development standards. The questions that might arise here are: what benefits does world heritage site designation bring and should cities ever consider simply ignoring the designation in the interests of promoting economic growth? The world heritage movement is based on the notion that certain cultural and natural assets are the collective property and responsibility of all humanity, despite having vastly different historical, cultural, and geographical derivations. World heritage site designation bestows, inter alia, international prestige, national identity and civic pride. Designation also confers particular protection and preservation on the most valued historic sites while also increasing tourism. It is argued that the impacts of urban development projects in or adjacent to world heritage sites have been growing markedly, delivering regeneration opportunities but also posing threats to their heritage value. In the UK, conservation became established as a major objective of planning policy in the 1970s and 1980s. Consequently, heritage regeneration has been one of the cornerstones of economic and social revival of historic towns and cities in the UK. Conservation is defined by Historic England as ‘the process of managing change to a significant place in its setting in ways that will best sustain its heritage values, while recognising opportunities to reveal or reinforce those values for present and future generations’ (see Further Information, Drury). It is also often agreed that assessing the values attributed to heritage is a very important activity in any conservation effort, since values strongly shape the decisions that are made (see Further Information, Torre). A useful definition of heritage-led urban regeneration is ‘investment in the city’s historic fabric, its buildings and spaces, in order to help secure physical, cultural and economic regeneration in that city for the benefit of all those living, working and visiting there’ (see Further Information, EAHTR). However, in some cases, the regeneration of historic areas has resulted in standardisation and gentrification when associated values and cultural contexts were not properly considered. Moreover, heritage-based regeneration projects can falter for a wide range of reasons, including unexpected costs which undermine viability, difficulties finding a beneficial use for a listed building, or abortive attempts to attract sufficient public interest (see Further Information, EH). Recently, the acceleration of development pressures has focussed attention on the spectrum of major challenges facing the process of safeguarding and protecting world heritage sites. Two sites in the UK, both of which were inscribed on the World Heritage List, have highlighted these challenges in different ways. Liverpool Maritime Mercantile City was listed in 2004 but moved to the List of World Heritage in Danger in 2012, while the city of Bath was inscribed on the list in 1987. Although both are facing the challenges of large-scale developments, Bath seems to be more successful than Liverpool in safeguarding its outstanding universal value along with socio-cultural and economic developments. A brief overview of the world heritage context of both cities and corresponding management plans is presented below to illuminate the different approaches. 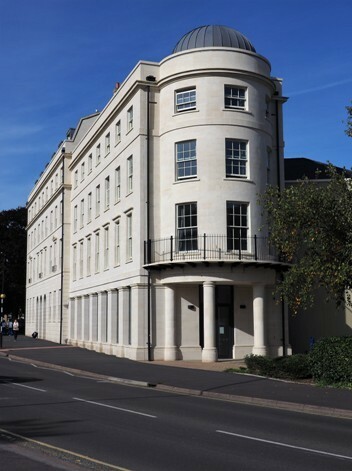 Criterion (i) (human creative genius): Bath’s neo-classical Palladian crescents, terraces, circus and squares, spreading out over the surrounding hills and down to its riverside centre, demonstrate the integration of architecture, urban design and landscape setting, and the deliberate creation of a beautiful city. Criterion (ii) (interchange of human values): Bath exemplifies the 18th-century move away from the inward-looking uniform street layouts of Renaissance cities and towards the idea of ‘planting’ buildings and cities in the landscape to achieve picturesque views and forms – a style echoed around Europe, particularly in the 19th century. Criterion (iv) (significant stage in human history): Bath reflects two great eras in human history: Roman and Georgian. Criterion (ii) (interchange of human values): Liverpool was a major centre generating innovative technologies and methods in dock construction and port management in the 18th, 19th and early 20th centuries. It thus contributed to the creation of international mercantile systems throughout the British Commonwealth. Criterion (iii) (testimony to cultural tradition): the city and the port of Liverpool are an exceptional testimony to the development of maritime mercantile culture in the 18th, 19th and early 20th centuries, contributing to the building up of the British Empire. It was a centre for the slave trade until its abolition in 1807, and for emigration from northern Europe to America. Criterion (iv) (significant stage in human history): Liverpool is an outstanding example of a world mercantile port city. It represents the early development of global trading and cultural connections throughout the British Empire. Subsequently, both cities began to attract more visitors and new development promoting tourism and other economic benefits. In Bath, the major development projects are the Bath transportation package, western riverside redevelopment, Southgate project and public realm enhancement. 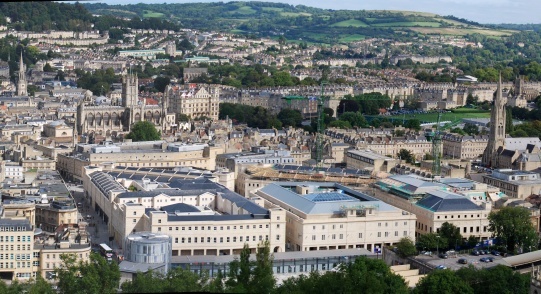 Previous management plans of the Bath World Heritage Site identified a range of socio-economic, physical and structural challenges facing the sustainable future of the site, and identified the city as a home for residents, businesses, education and visitors. 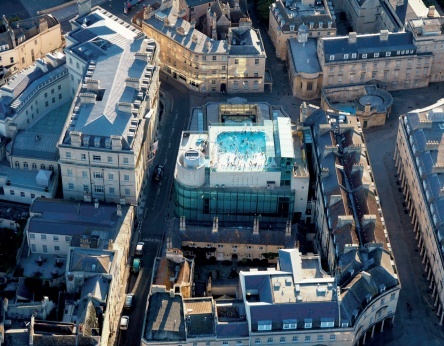 The current (2016-2022) management plan of Bath is structured in a way that it recognises the site with its inclusive tangible and intangible elements, past and current, and integrates well with local policy guidance. The current management plan explains the attributes of outstanding universal value and links them with other natural, intangible and tangible values associated with the sites and its communities. Similarly, a number of heritage-led regeneration projects have been delivered in the Liverpool World Heritage Site. Examples include the restoration of Albert Dock, the Canning Georgian Quarter and Bluecoat Chambers, in addition to a number of tall buildings in the heritage areas of Liverpool. However, more challenges have emerged and were underlined during the World Heritage Committee’s 30th session in 2006. 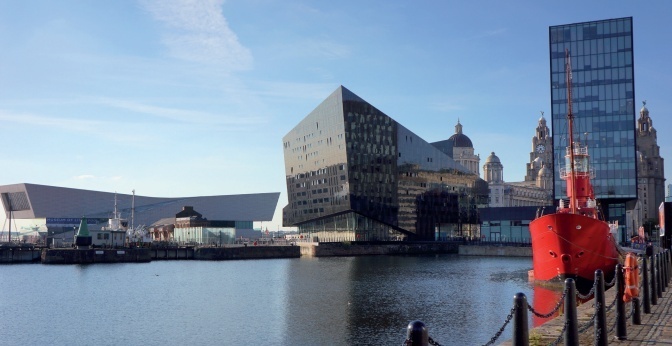 The dominant scale and intrusive design of the substitute projects at the Pier Head, the waterfront Museum of Liverpool and three buildings on Mann Island raised concerns and the committee urged the UK government to set in place clear strategies for design briefs and for the overall townscape, skyline and river front. The first joint UNESCO/ICOMOS Monitoring Mission to Liverpool in October 2006 stressed the importance of producing guidance documents for future development. Consequently, Liverpool City Council issued the Liverpool – Maritime Mercantile City World Heritage Site Supplementary Planning Document in 2009 as a key tool for managing the WHS. This document identified opportunities for high-rise buildings immediately adjacent to the WHS and inside the buffer zone, in effect anticipating Liverpool Waters. However, during the 35th session of the World Heritage Committee in 2011, extreme concern at the proposed development of Liverpool Waters and its potential impact on the outstanding universal value of the site was expressed and a reactive monitoring mission was requested. Thus, in November 2011, a second UNESCO-ICOMOS mission to the Liverpool World Heritage Site was invited. It concluded that ‘if the proposed Liverpool Waters scheme as outlined during the mission would be implemented, the world heritage property would be irreversibly damaged, due to a serious deterioration of its architectural and town-planning coherence, a serious loss of historical authenticity, and an important loss of cultural significance’. 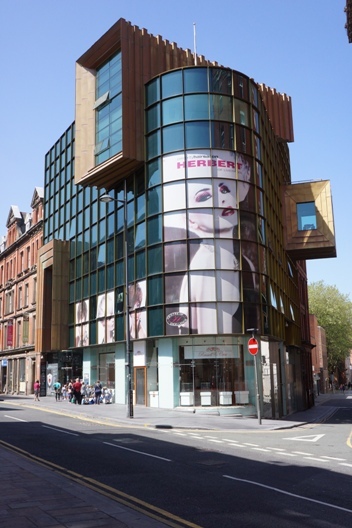 It recommended that the principal stakeholders (Liverpool City Council, Peel Holdings and EH) work out an adjusted scheme including the mission’s observations. But, in March 2012 Liverpool City Council granted outline planning consent to Liverpool Waters. Consequently, during its 36th session in June of the same year, the World Heritage Committee placed the WHS of Liverpool on the UNESCO List of World Heritage in Danger, a position that has been restated at subsequent sessions. The last was the 41st session in July 2017, when the committee asked the state party (the DCMS) to resubmit, by 1 February 2018, an updated report on the state of conservation of the property in line with previous recommendations, particularly the UNESCO Recommendation on the Historic Urban Landscape (2011), and with a view to considering the deletion of Liverpool WHS from the World Heritage List at its 24th session if the ongoing large-scale projects continue. The Liverpool Maritime Mercantile City World Heritage Site Management Plan 2017-2024 explains the geographic locations and outstanding universal value criteria of the WHS and its buffer zone. Moreover, the five key themes comprising the Statement of Attributes for the Heritage Site of Liverpool, established in 2011, were underlined to highlight the city’s historic importance as a port and cultural exchange city. Despite acknowledging the key achievements and future plans in the world heritage site and buffer zone, the management plan fails to introduce contemporary socio-cultural values within its heritage-led regeneration process. Despite its clear objectives, implementation strategies and a cultural framework, the Liverpool management plan focusses on rebranding the city as a centre of investment and presenting it as a tourist centre. It proposes involvement of the community as a key stakeholder, but fails to address the question of how the community values the site, for example as the home of the Beatles, Liverpool Football Club, multi-cultural festivals and other local intangible characteristics of the city which are a source of identity values and civic pride. References to the specifics of the UK’s planning and heritage management policy are also overlooked. Liverpool was also branded as the European Capital of Culture in 2008, but this should be integrated with its current and inclusive socio-cultural values in order to achieve heritage-led sustainable urban development. Since 2004, Liverpool has used heritage as a catalyst to attract investment. However, this investment has threatened the outstanding universal value of this site. Indeed, the Liverpool World Heritage Site should be perceived as a dynamic system of both built and intangible heritage (social, cultural and traditional practice and knowledge) in order to sustain its inclusive values for current and future generations. Moreover, investment in the city and the introduction of new innovative projects, rather than taking away from the original structure, should add more value to the city (economic, touristic etc) and at the same time respect the existing social, cultural and environmental context. Therefore a strategy to find a good balance between heritage conservation, economic growth and social inclusion should be developed. Designation based on UNESCO’s outstanding universal values is significant, but designation alone cannot ensure the sociocultural sustainability of a city. ATAA ALSALLOUM PhD is a lecturer at the University of Liverpool’s School of Architecture. Her doctorate at Liverpool focussed on developing an assessment model for world heritage cities. Her master’s thesis at the University of Damascus examined the design of new neighbourhoods adjacent to historic cities. Her teaching and research interests are focussed on cultural heritage studies.